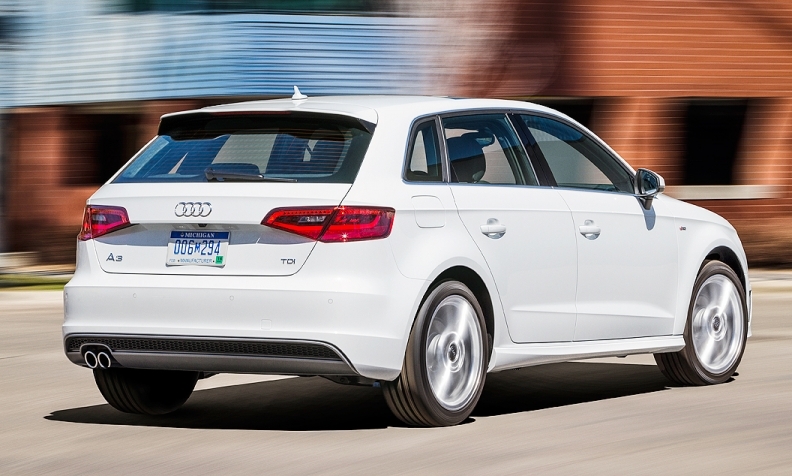 Audi believe that diesel's added fuel economy and torque will make the A3 TDI hatchback attractive to environmentally conscious, in-the-know buyers in cities such as Portland, Ore., Seattle and San Francisco. NEW YORK -- How confident is Audi that American car buyers will embrace diesel? So confident, it seems, that the German luxury brand has decided to bring back the five-door version of its A3 compact to the United States without offering customers an ordinary gasoline engine. Audi announced today, ahead of the New York auto show, that the five-door body style also will be available with a 2-liter TDI engine next summer. Audi already announced plans to sell a plug-in hybrid version of the hatchback called the A3 e-tron. Exact pricing has not been announced, but the diesel A3 will compete with entry-level luxury cars such as the Lexus CT, a similarly sized hybrid-only hatchback that starts at $32,960 with shipping. Lexus sold 15,071 of them in 2013 in the United States. Audi sold just 7,205 units of the previous A3 hatch in 2012 in the United States, but hidden in those paltry sales numbers was a sign of diesel’s promise. At that time, about 55 percent of buyers were choosing the TDI engine -- far more than the company had projected. Audi’s marketing experts concluded that diesel’s added fuel economy and torque were making it attractive to environmentally conscious, in-the-know buyers in cities such as Portland, Ore., Seattle and San Francisco. It was the “perfect ‘creative class’ car,” Keogh said in a recent interview, using a term coined by American social scientist Richard Florida to describe the clustering of technology workers, artists and other “creative” types in urban centers. 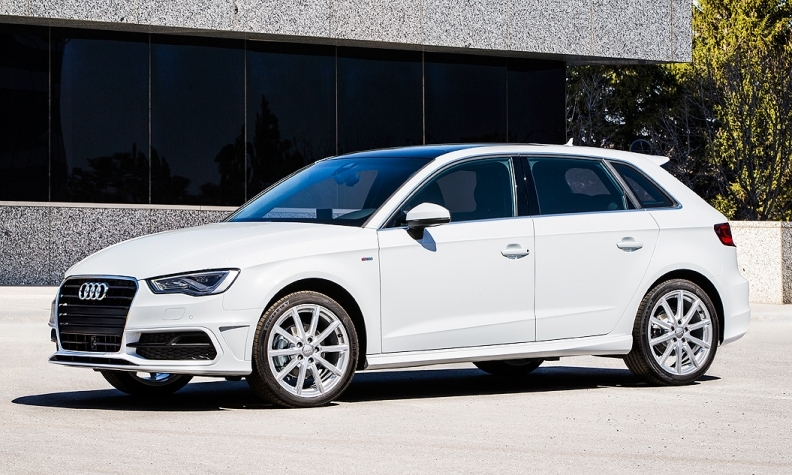 The diesel hatchback is part of an A3 family that includes four-door, five-door and convertible variants. Audi already sells diesel versions of the A6, A7 and A8L sedans, as well as the Q5 and Q7 crossovers. Audi has tried to appeal to these buyers with advertising that frames diesel as the fuel of choice for savvy drivers who understand what the masses do not. That message was on display last fall in a heavily played Audi commercial in which panicking police officers and onlookers run toward a fueling station, trying to warn a young woman before she puts diesel in a car they assume can handle gasoline only. “Hey lady, that’s diesel!” the station attendant yells. “I know,” she replies. The diesel hatchback will be part of an A3 family that includes four-door, five-door and convertible variants. The first to arrive was the sedan, which went on sale this month with turbocharged 1.8-liter and 2-liter gasoline engines available at launch.